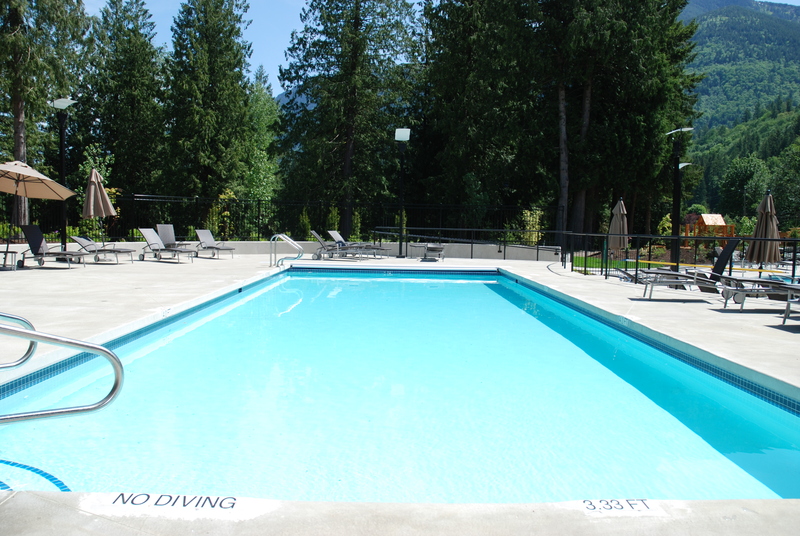 This luxury 2 Bedroom + Loft Cottage has spectacular mountain views from the fully furnished sundeck at the rear of the property, has close-by access to all on-site amenities including swimming pools, spa hot tubs, fitness room, games room, etc; sits right on the doorstep of Cultus Lake Provincial Park and is within short driving distance of a number of Golf Courses. 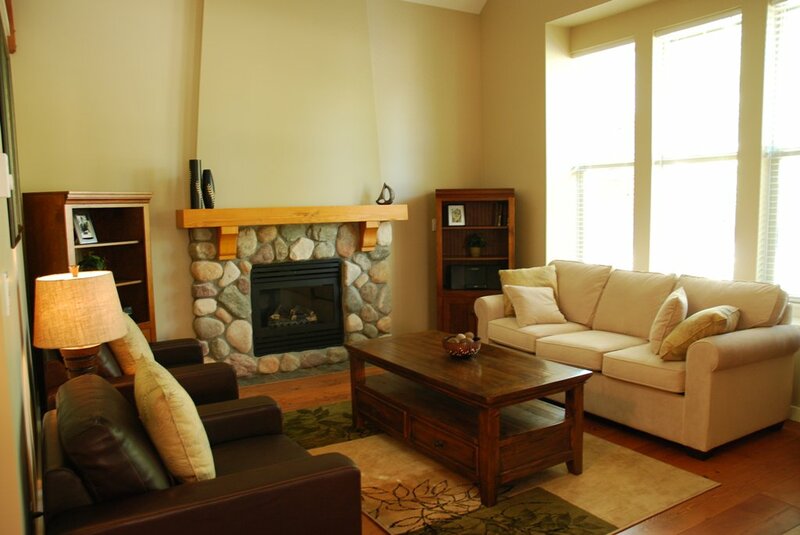 The main floor consists of a spacious living area finished with reclaimed wood flooring and river rock fireplace complete with LCD HDTV. 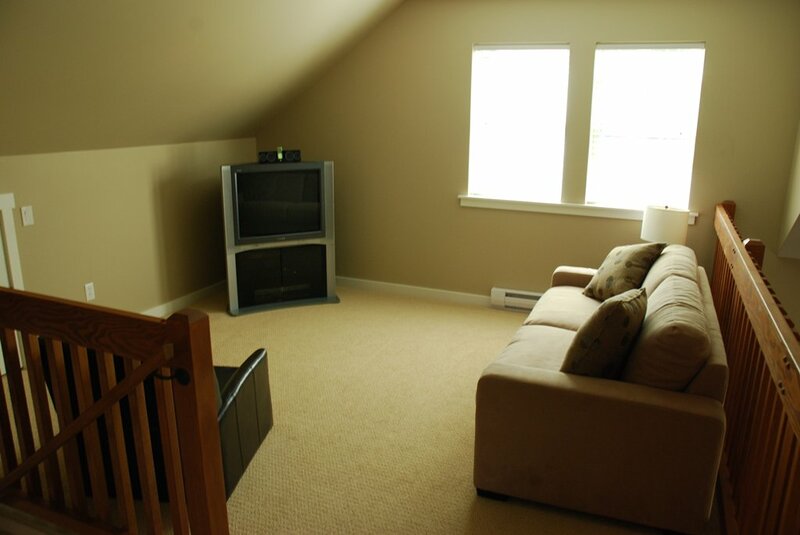 The 13ft vaulted ceiling has a fan to keep the open plan living area cool. 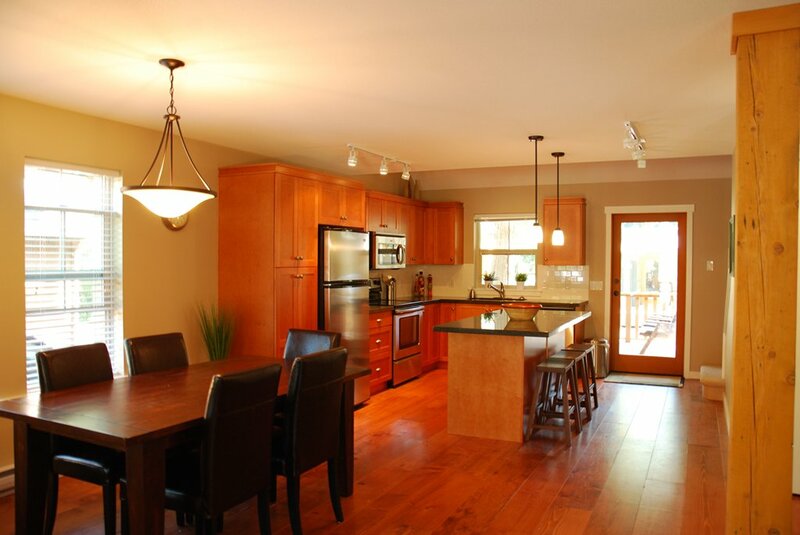 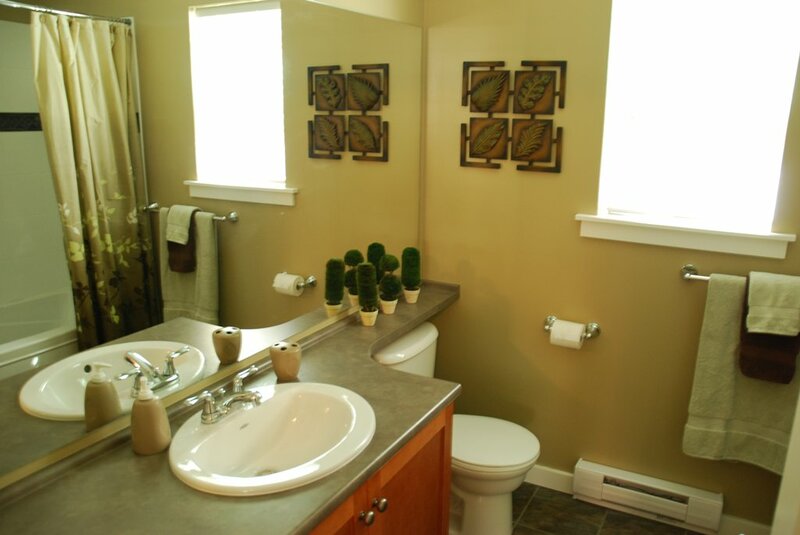 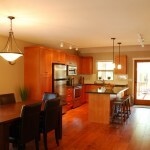 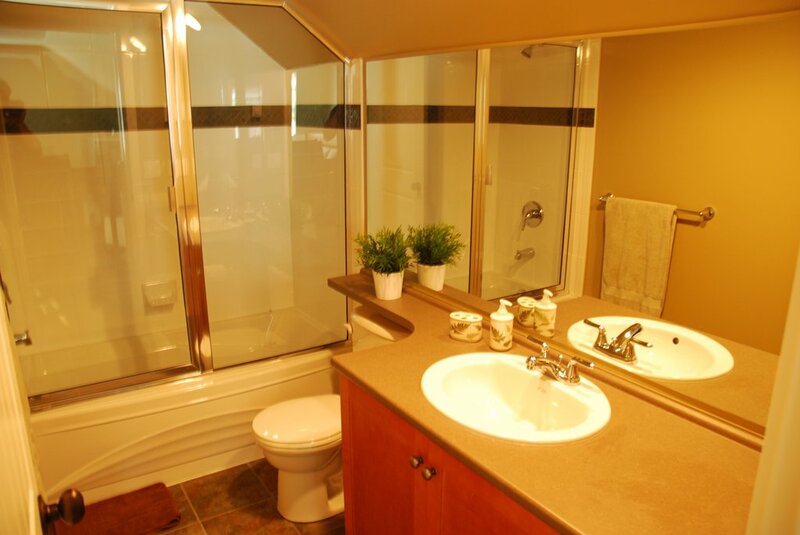 The Cottage has a large kitchen with tile floors, granite counter tops and spacious dining area. 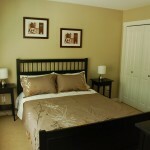 Also on the main floor is the Master Bedroom with Queen Bed complete with full 4 piece Bathroom. 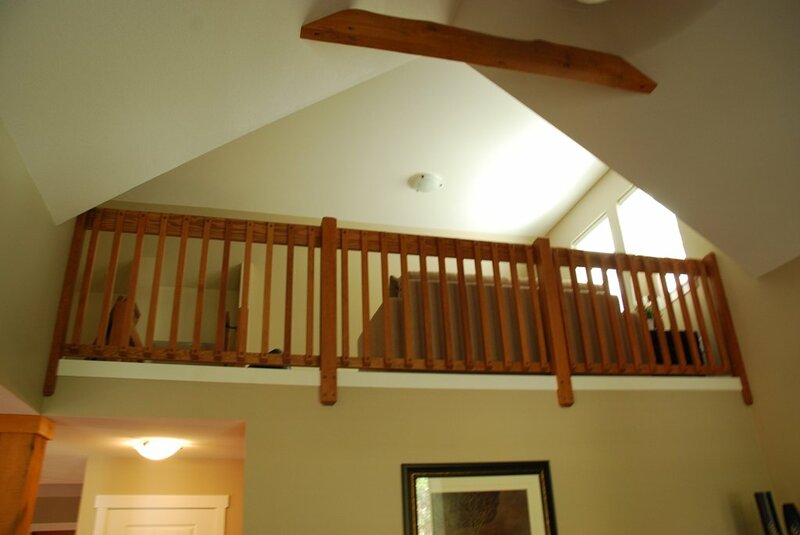 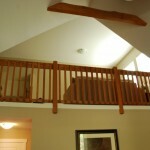 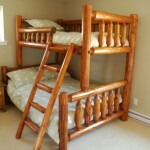 Upstairs has a second bedroom with a Custom Built Log Bed – Twin over Double. 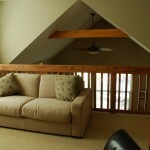 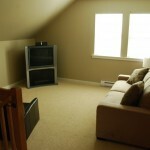 In addition the Loft area has a Double Sofa-Bed and a second 4 piece bathroom. 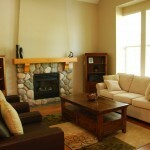 There is also a Queen Sofa-Bed in the main lounge, meaning this cottage can comfortably accommodate up to 8 people. 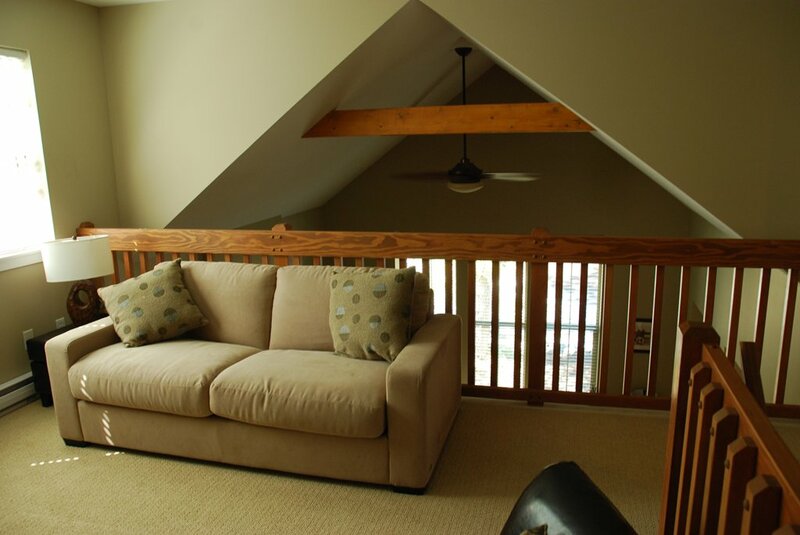 The cottage comes fully furnished with all the conveniences of home in order to make your stay relaxing and a truly memorable, vacation experience. 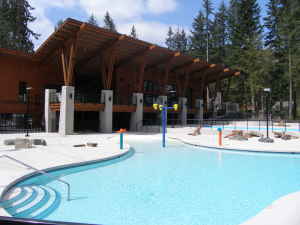 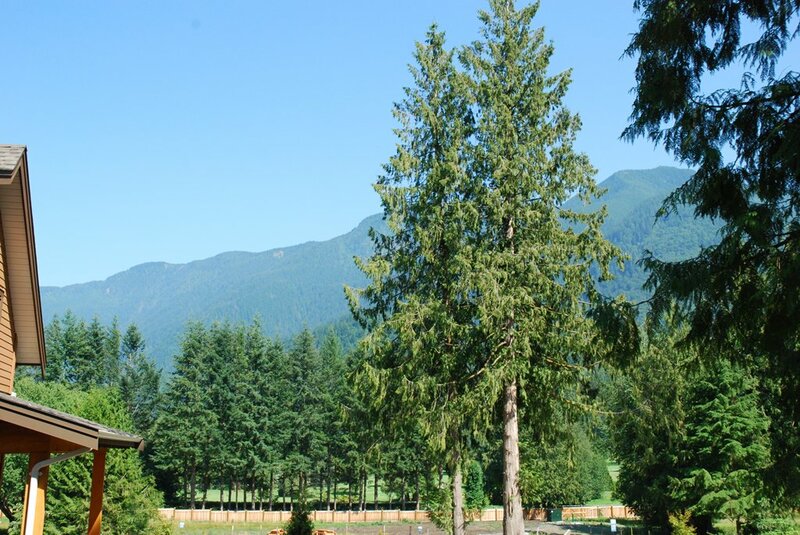 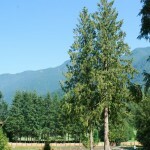 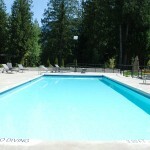 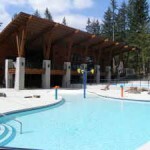 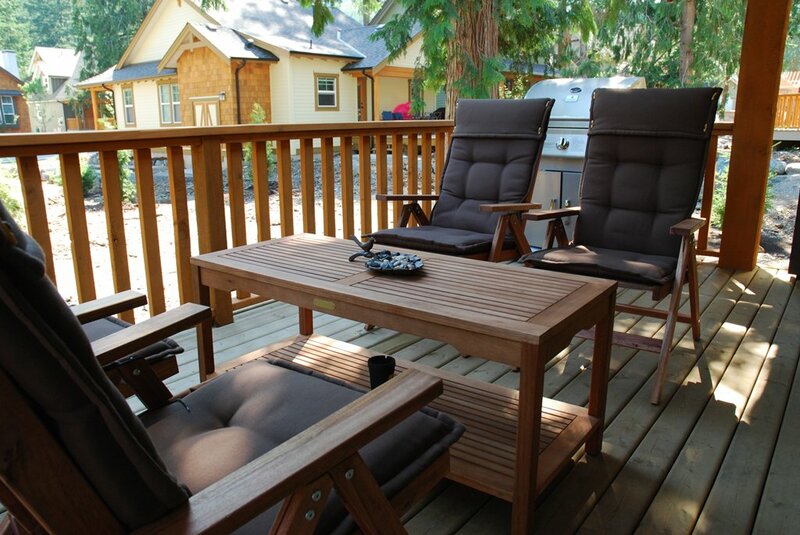 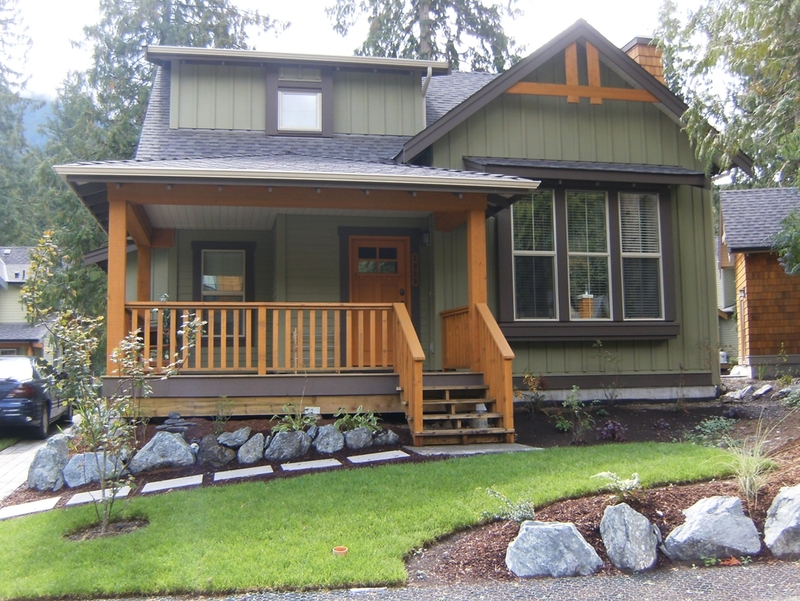 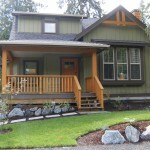 Please email mountainview@cultuscottages.com for rates and availability, or call Lindsay on (604) 789-9435. 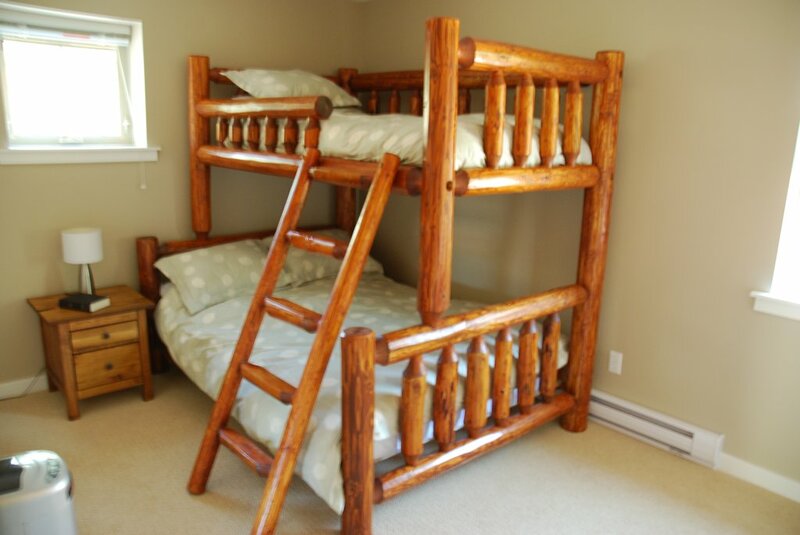 Sorry, but we will not consider nightly or weekend rentals. 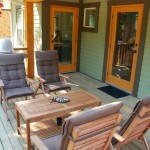 – All renters are required to complete a rental agreement form and return to the Cottage Owners. 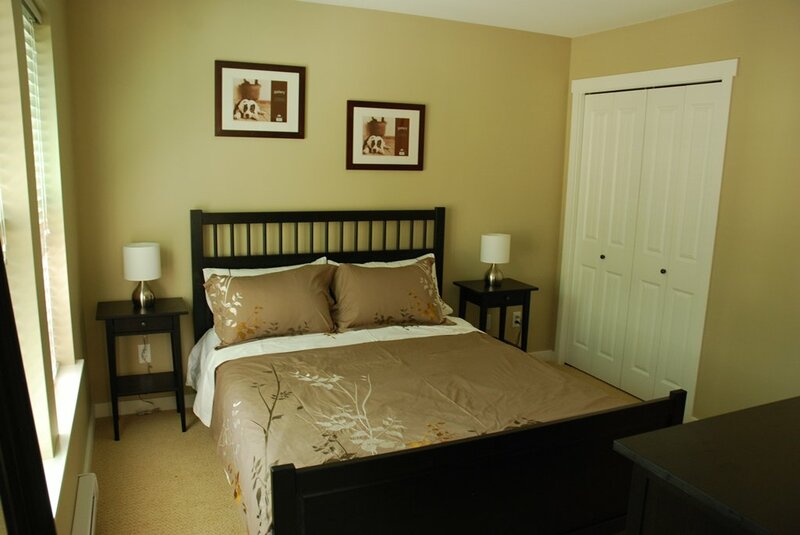 Occupancy of the property cannot happen without a signed and completed rental agreement form. 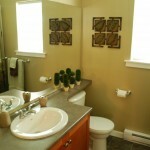 – Renter will not be responsible for taking care of the landscaping, cutting the grass, etc. 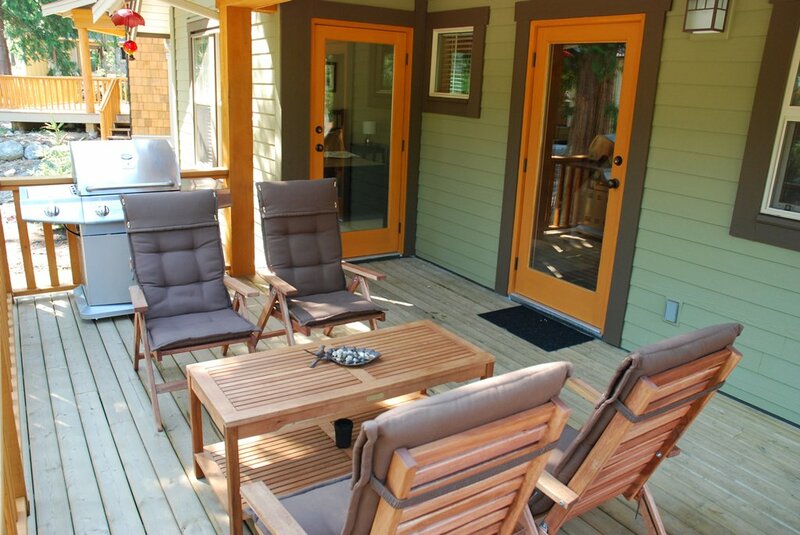 Consequently, there may be caretakers coming and going to undertake these tasks on behalf of the Cottage owners during your stay. 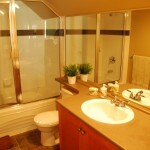 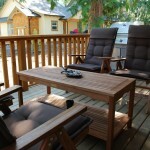 Mountain View Cottage and the accompanying resort amenities will ensure you have an amazing and unforgettable vacation!